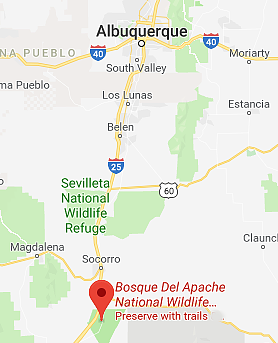 You get to the Bosque del Apache National Wildlife Refuge, south of Socorro, NM, at least a half an hour before sunrise. You position yourself with back to the wind, so the birds will fly over you; your back to the rising sun, even better. 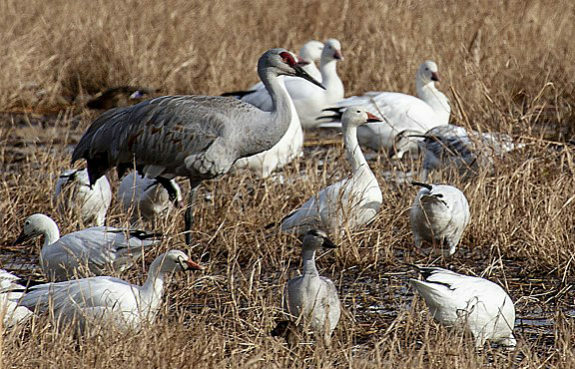 In the near dawn, you hear a cacophony of clicks and low calls from the Sandhill Cranes and the higher-pitched squawking of the Snow Geese on the water. Your camera is at the ready because suddenly, the chatter of the geese will ratchet up even higher. That’s all the warning you get. Then the air is full of birds blasting off the surface of the pond, spiraling up, vacuuming others off the water in their wake. As you compose your shots, you hear screeches in thousands of throats and see a sky filled with the white beating wings of geese, circling in the morning light. This is what birders refer to as the “fly-out.” Somewhat later, the Sandhill Cranes get the same memo and are off for their day, leaving in smaller groups. Their flight patterns are more linear, their bearing more majestic as they head out for the grain fields du jour. 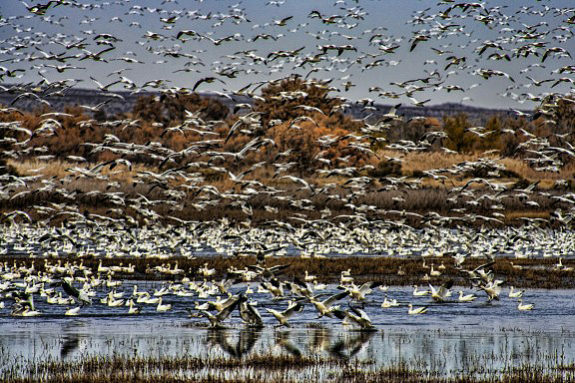 It happens every morning during the migration months– November to February at this amazing place near Socorro, New Mexico, just an hour’s drive south from Albuquerque. And its reverse, the fly-in, can be enjoyed every evening. For the prepared and properly equipped, it is a photographer’s delight. 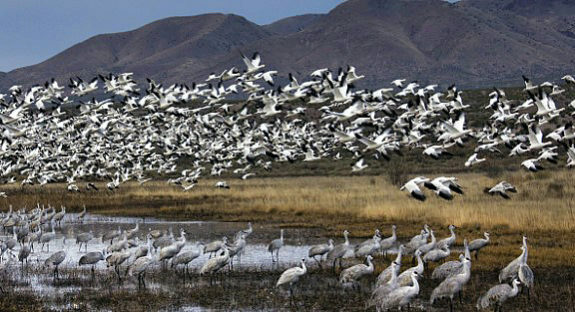 The 30,000-acre refuge, on the banks of the Rio Grande, is open year round but is especially delightful during the November Festival of the Cranes. It’s a celebration that brings birders, photographers, camera manufacturers, suppliers, and wildlife experts together for a week each fall. It’s a great way to come up to speed on this intriguing refuge. The bird in full profile or coming at various angles toward –never flying away from– the viewer. A catchlight in the bird’s eyes and the eyes on level with the viewer. Soft lighting not harsh and a simple background, often deliberately blurred with a wide aperture on a telephoto lens. Visual information about the bird, how it flies, what it eats, how it behaves with others. Tack sharpness to reveal details of the bird for others. Now that you know what you’re after, we’ll tell you: It’s easier said than done! As veteran photographers with seasons of experience at this amazing refuge, we have some suggestions for you to achieve the perfect shot. And, of course, once you’ve achieved it, you can go on to break any of these rules to communicate about this place and its inhabitants the way you want to! Planning is essential and with planning we include a knowledge of the birds and their behaviors. 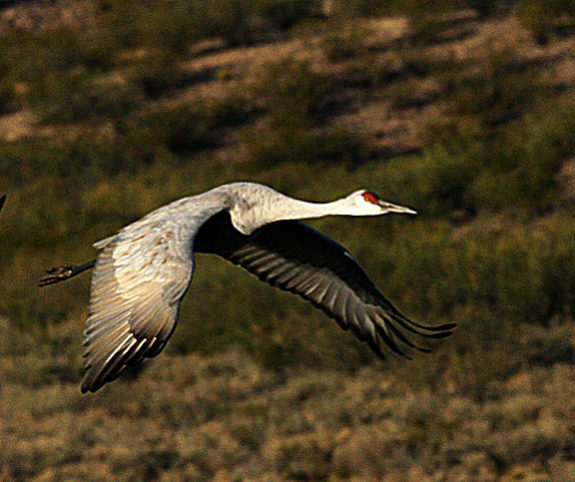 Fortunately the Bosque del Apache offers a variety of maps, brochures, and a dedicated cadre of staff members and seasonal volunteers who can tell you where the birds are, what’s going on where, and provide other helpful information to make your trip productive. There are also photographers who offer workshops during migration season that can be helpful to those who take advantage of them. Patience shooting, involving cautious approaches and lots of waiting. Reactional shooting, blasting away on short notice. Getting your camera off its “auto” or “program” setting and using manual– though it may be frightening at first blush– is a really good idea for this kind of shooting. If you begin your day by taking time to set an aperture and an ISO and then adjusting your shutter speed to get a good histogram, it will pay dividends. Because birds fly fast –20 to 40 mph cruising speed– we recommend you start with a shutter speed of 1/2500 or faster. That means raising the ISO to 800 or higher, but the tradeoff will be well worth it. Noise reduction software today can help you avoid the issues once associated with higher ISOs and the higher shutter speed will help you with the sharpness you need. If you set up aperture, ISO, and speed, the key to successful manual shooting is simply to keep an eye on the light. Your exposure is set to capture the bird, no matter what the background, so only if the sun slips behind a cloud or some other light-altering event occurs do you need to adjust your settings. In these cases, typically all that’s needed is to raise or lower shutter speed. By starting with a high shutter speed, you can protect yourself from image blurring even if you lower shutter speed to adjust. To teach action shooting in some workshops we’ve seen, guides take their students out and practice shooting on manual setting before they go on actual location. Acquiring the bird in the viewfinder and panning, or following it, with the lens. Zooming on the bird as you follow it (this may be optional). Squeezing off shots in continuous mode to capture various wing positions. Following through with the lens motion to improve sharpness of the image. Yes, it sounds complicated but with practice it becomes second nature. Although some of our favorite Bosque shots are made with wide angle lenses, a good telephoto is a must for bird photography. It doesn’t have to be expensive and you might consider renting as an alternative if you can’t afford one. 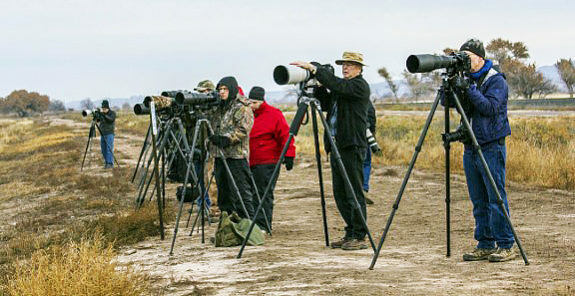 We concur that a 200mm lens on a full-frame camera is a minimum for shooting at the refuge, where waterways and other natural barriers are often used to keep birds and public apart. Longer is even better but remember you can gain reach with tele-extenders or by using your cropped-sensor camera with a 200mm lens which will give you the equivalent of an even a longer focal length (up to 400mm on some cameras). 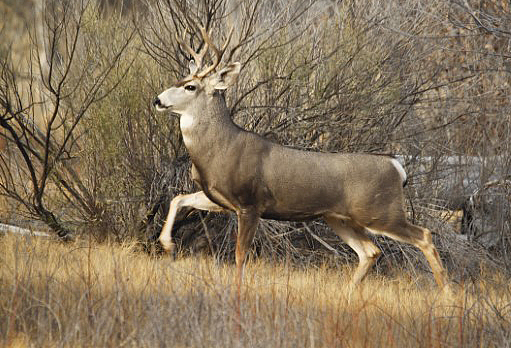 Don’t short-change yourself on batteries and high-speed data cards at the Bosque. The morning temperatures can be below freezing, and this takes a toll when powering electronics. Don’t short-change yourself, either! Warm clothing in layers, gloves that keep fingers free or offer tactile sensitivity for shooting are a great idea. Cold weather coveralls are uniform of the day for many veteran Bosque photographers. Finally, a good tripod– remember those patience shots we told you about– is also important in many situations. 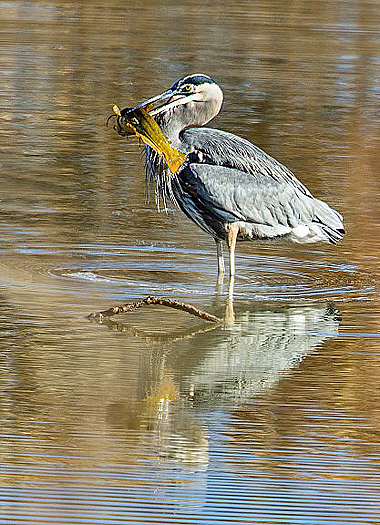 Wildlife photography (there are deer, elk, fox, coyotes, javelinas, and other critters at the Bosque in addition to the birds) requires special shooting techniques and schedules. A typical day involves rising early and getting out before dawn, shooting until mid-morning. Perhaps breakfast, a siesta, or some scouting in the middle of the day. Perhaps all of those! Then back to a good location for the evening fly-in by the cranes and snow geese before a late dinner back in Socorro, or in the tiny village of San Antonio. It can be demanding, but the more you do it, the better it gets. Finally, to borrow from an old fly-fisherman’s adage, a bad day of photographing at the Bosque is better than a good day at the office. Even if you aren’t getting that perfect shot yet, take a minute, breathe, look at where you are and enjoy this amazing wildlife refuge! 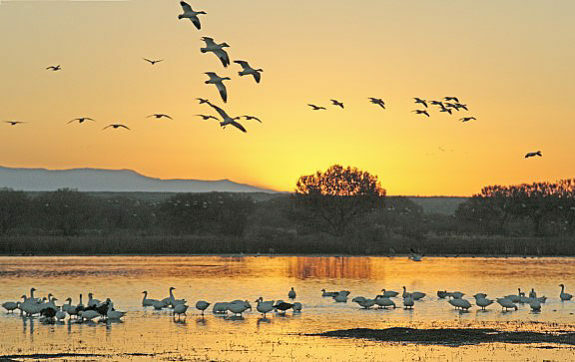 Bosque del Apache National Wildlife Refuge is open year-round and offers many opportunities to enjoy wildlife-dependent activities, including wildlife watching, hiking, hunting, fishing, wildlife photography and more. The refuge’s nature trails and the auto tour loop are accessible all year. Check out the U.S. Fish and Wildlife visitor activities section of their website for more information. Fees are $5 per day and camping is not allowed. Thanks.. I know these 2 guys and have shot with them… have also spoken to their club and judged some of their shows… keep up the good work. Thanks for the post. I will try to use the “tips” when the birds are in our part of the migration path-a couple of months from now-Manitoba, Canada. Love their call and they are so high up in the air-they look like they are floating!